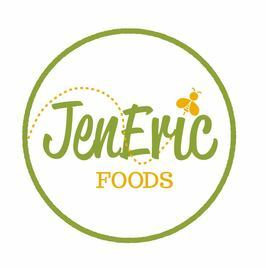 JenEric Foods is about creating healthy delicious foods and beverages made with the highest quality ingredients and loving and sustainable practices! We are all about celebrating great food and great people and living a wonderful life! Our jun is fermented with local raw honey and organic green tea! We focus on developing unique flavor pairings of local and seasonal honey and green tea varietals to produce an amazingly healthy and delicious lightly effervescent beverage! Learn more about our Jun. We use local raw honey in our Jun! We love bees and the unique terroir of honeys they produce, celebrating the sun, flowers, soil and seasons. Learn more about bees, keepers and the health benefits of honey. We use fair-Trade, organic green tea in our Jun! Learn more about the rich history, culture, varietals and the health benefits of green tea.